Chairs create a comforting feel in a room that can feel cold. 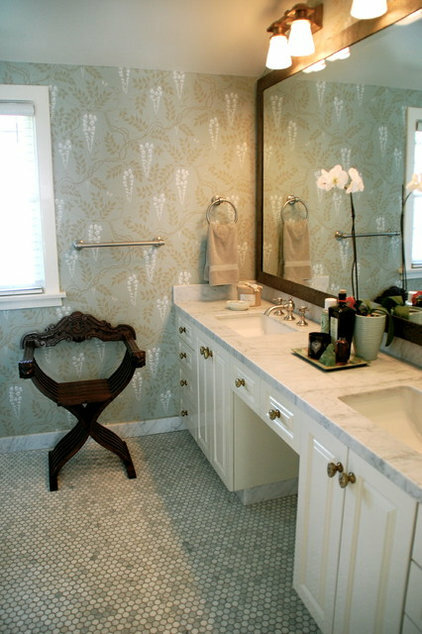 The rich wood, carved back, and ornate shape of this chair bring warmth to this bathroom and anchors the space. 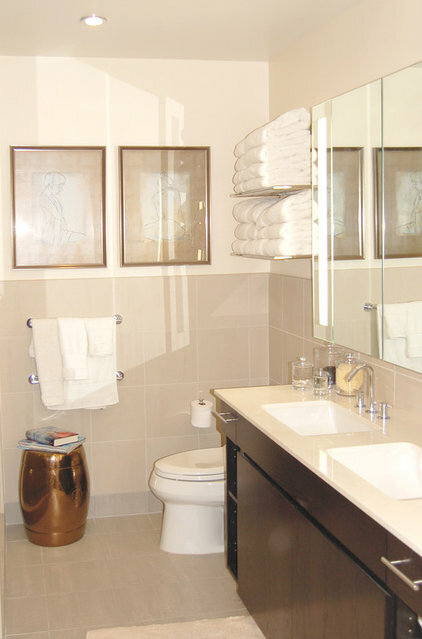 Near a bath tub, a stool is helpful for holding towels, or a magazine or drink while you are soaking in bubbles. 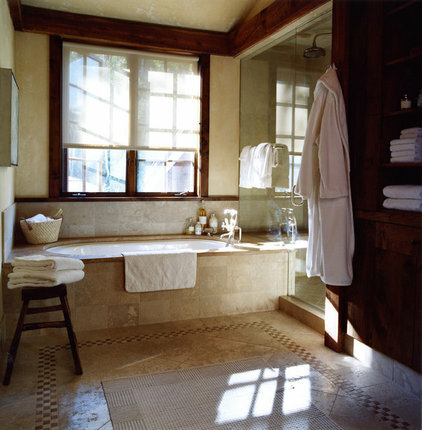 This simple rich angle-legged stool adds character to this bathroom. Here is another example of a chair anchoring the space. Choose one that makes a nice contrast to an otherwise monochromatic room. 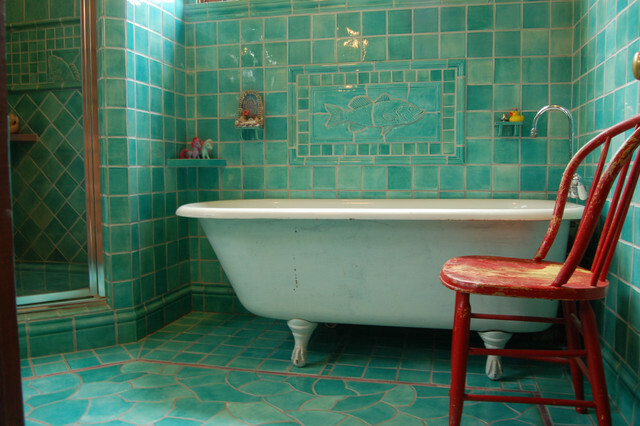 The warm red against the green/blue tiles creates interest. by BiglarKinyan Design Partnership Inc. If you have a countertop with open space underneath, add a stool. It can be pulled out to serve as seating or side table. This stool turns a floating tabletop into a vanity. 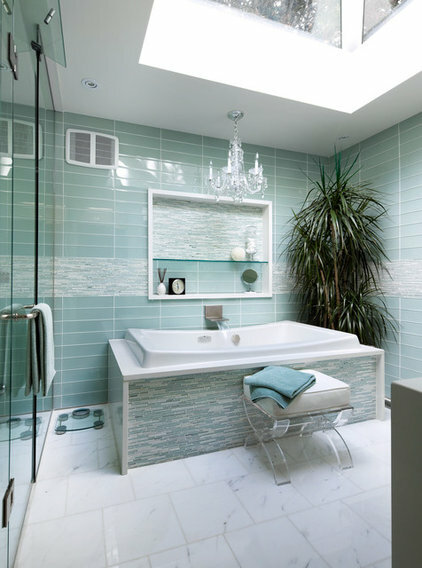 Create a very shiny, glamorous bathroom with glass tiles, a clear acrylic stool with a plush upholstered seat, and a crystal chandelier. 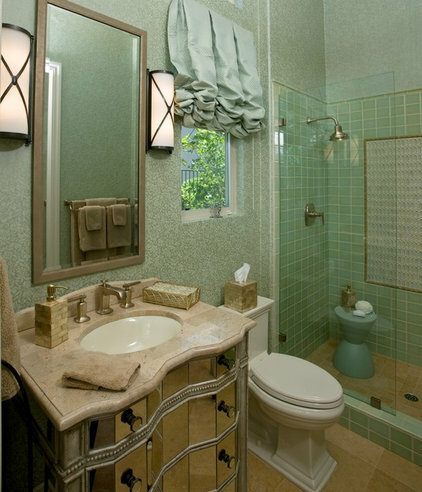 Add a garden stool to your powder room. Guests will have a place for their purse or keys. Here is a cute one from West Elm and another in shiny chrome. 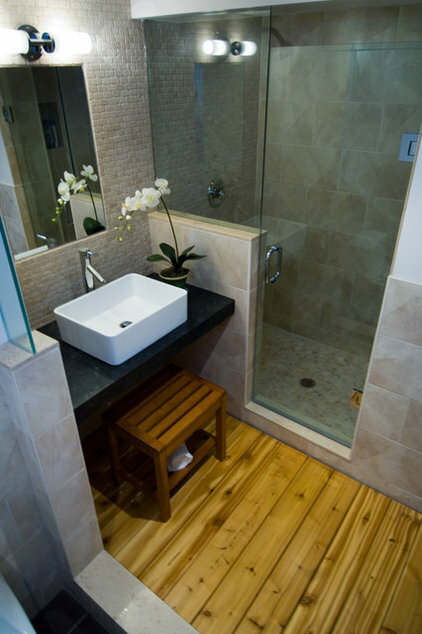 How about a stool in the shower? This one is the Prince Aha Stool from allmodern.com. 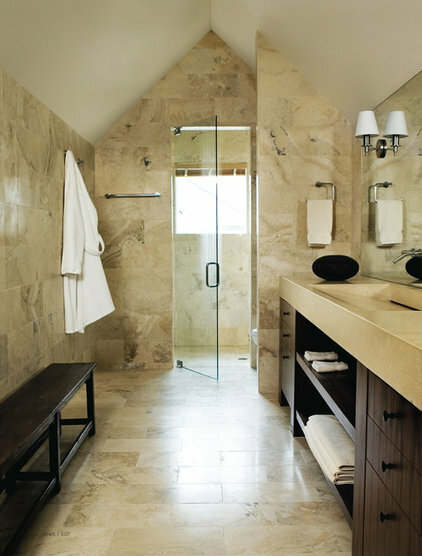 An Asian-style teak stool adds a spa touch to this open shower. Here's a similar one. 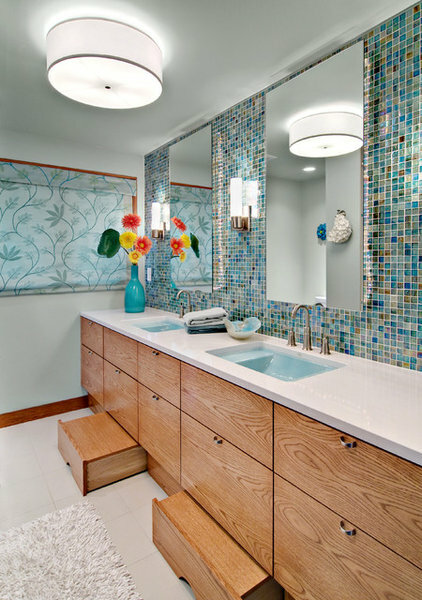 A bench turns a bathroom into a spa with an upholstered seat and throw pillows. 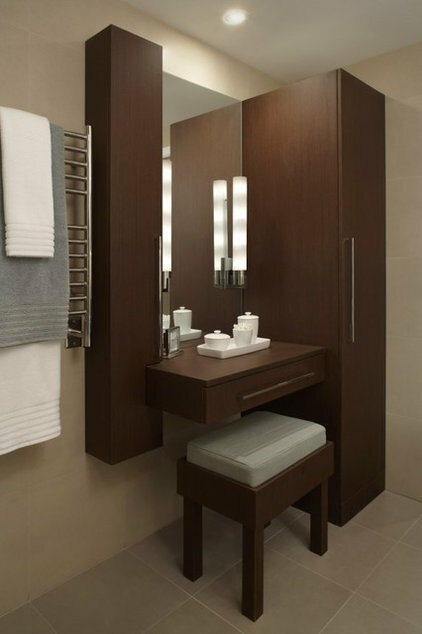 And if it is a storage bench, it can serve as a linen closet. A long bench along a wall opposite your sink can be useful for placing slippers or a used towel. I just love when function and style fuse together harmoniously. These stools pull out when you need them, then disappear when you don't.